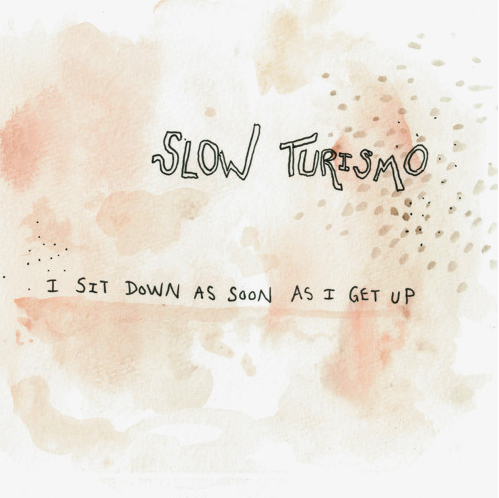 Slow Turismo have shared ‘I Sit Down As Soon As I Get Up’ the lead single from their debut self-titled EP. This latest release was recorded between Sing Sing Studios in Melbourne, and a log cabin hidden away in the hills surrounding Robertson. Having spent time with Magoo for pre-production and tracking in 2014, the band have settled into their sound and, with the help of Aaron Dobos, self-produced ‘I Sit Down As Soon As I Get Up’ over the first few months of 2015. ‘I Sit Down As Soon As I Get Up’ is upbeat and introspective, exploring the dreaded mid twenties transition from carefree fun times to adult life. The song starts with jangly guitar and a quirky programed beat that quickly opens into a full arrangement featuring more guitar, synth, vocals and eventually trumpets. The bridge section builds and builds until finally landing somewhere completely unexpected. The song plays with your sense of anticipation, not unlike growing up.